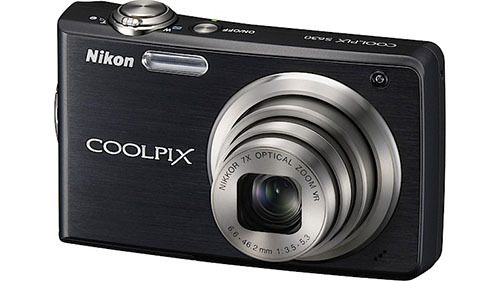 Nikon Coolpix`s high megapixel and zooming quality can capture perfect pictures which are worth sharing. This camera uses a memory card for saving all your images and other files. Deleting such images can be very frustrating and sad. Accidental or unintentional deletion can occur anytime while working with your photos. 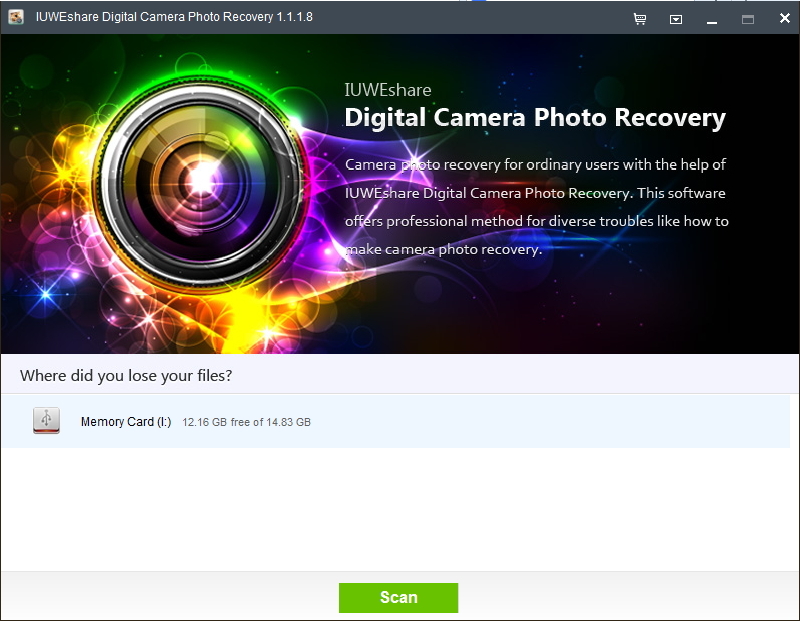 Fortunately, it is possible to recover photos from Nikon Coolpix with IUWEshare Digital Camera Photo Recovery. It is the best photo recovery software that can recover deleted or lost photos and videos from Nikon Coolpix camera easily.Various types of Nikon Coolpix cameras are supported like Coolpix S6300, S6400, S1200PJ, AW100, P7100, P7700, and more. This tool can get back picture files like JPG, PIC, IMG, TIFF, GIF, PSD, BMP, etc. that are erased or lost from storage devices with utmost ease. It also recovers RAW image file types like NEF, CR2, CRW, SRF, PEF, ORF and so on from various camera models like Nikon, Panasonic, Canon, Olympus, Samsung, Sony and other popular ones. Connect Nikon Coolpix memory card to your computer using a card reader. Select Nikon Coolpix memory card for recovery and then click "Scan" button to continue. Once the scan has completed, you are allowed to preview the image or video files you want to recovery. Hit "Recover" button to recover deleted photos and videos from Nikon Coolpix. Note: Don't save the recovered photos and videos oon your Nikon Coolpix camera or the memory card again. All Wether Series: Coolpix AW100, Coolpix AW100s. Life Series: Coolpix L16, L18, L19, L20, L21, L22, L23, L24, L25, L26, L100, L110, L120, L310, L610, L810, L820. Performance Series: Coolpix P50, P60, P80, P90. P100, P310, P500, P510, P5000, P5100, P6000, P7000, P7100, P7700. Style Series: Coolpix S01, S10, S30, S50, S50c, S51, S51c, S52, S52c, S60, S70, S80, S100, S200, S210, S220, S230, S500, S510, S520, S550, S560, S570, S600, S610, S620, S630, S640, S700, S710, S800c, S1000pj, S1000pj, S1200pj, S2600, S300, S3300, S4000, S4300, S6000, S6300, S6400, S8000, S8100, S9200, S9300.